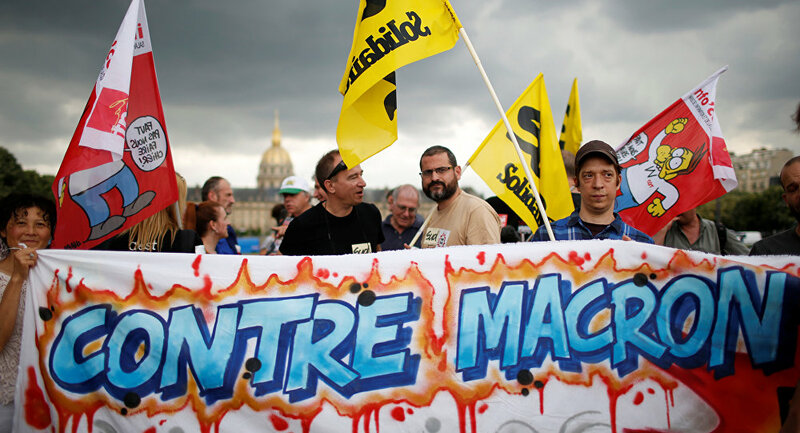 French rail workers are set to continue rolling strikes today against President Emmanuel Macron’s proposed labour reforms for state-owned railway company SNCF. Macron aims to cut special privileges of SNCF workers, such as early retirement and guaranteed jobs for life. The reforms are part of wider labour and public sector proposals that hallmarkedMacron’s election campaign last year. The protests risk harming the president’s popularity. A recent poll saw 45% of voters approving of his first year in office, but 55% feel his recent moves are too “authoritarian”. However, failure to deliver threatens his credibility in Brussels as the EU prepares to open up the transport sector to greater competition by 2023 and pursue other strategies, including a common Eurozone budget and increased powers for the EU’s bailout mechanism. Given Macron’s centrist party commands majority in the National Assembly, today’s protests are unlikely to affect legislation passing. 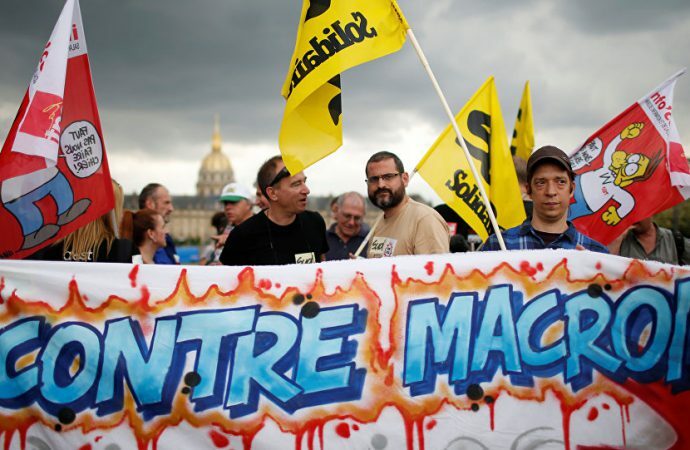 Macron almost certainly will take a tough stance towards the powerful railway unions, looking for a decisive win at home to give him firmer ground to sell his ambitions to a reluctant Germany especially. Without a solid portfolio of domestic reforms for reference, Eurozone countries may not agree to Macron’s intentions.